You see, having sensitive skin means you’re more vulnerable not just to your harsh environment but UV rays as well. Stepping outdoors without protection can be quite a nightmare. To help you find the right protection for your skin type when buying sunscreen for sensitive skin, here are 4 things you need to keep in mind. Not all sunscreens are created equal. In general, there are 2 types of sunscreens: mechanical and chemical sunscreen. Out of these two, sensitive skin should use mechanical sunscreens. These are products that provide a mechanical barrier between your skin and the sun’s harmful rays. Two of the most common ingredients you’ll find in mechanical sunscreens are titanium oxide and zinc oxide. They reflect the rays of the sun even before they get to touch your skin. One downside of mechanical sunscreens is that they don’t easily rub well on the skin. They tend to leave white streaks if not blended properly. Chemical filters, on the other hand, penetrate the deeper layers of the skin. They are more likely to cause negative reactions in delicate skin. Sunscreens don’t just contain ingredients for sun protection. Most of the time, they also have ingredients to preserve them or make them smell good. These are exactly what you should watch out for if you are choosing a sunscreen for sensitive skin or picking a sunscreen for babies. Fragrance is something you should also skip. Artificial scents are known to cause irritation and negative skin reactions, particularly to vulnerable skin. UVC rays are considered to be the most harmful rays. Fortunately, however, these rays are filtered out by the atmosphere which means they don’t get to reach us. UVB rays, on the other hand, cannot reach your skin’s deeper layers. What they do is cause burning as well as tanning. For these properties, UVB rays are more linked to cases of skin cancer. UVA rays can cause immediate tanning. They can penetrate the skin’s deeper layers which can hasten the process of skin aging. Being frequently exposed to UVA rays can contribute to the development of wrinkles and sunspots. In some instances, these rays can also lead to skin cancer. For your protection, find a sunscreen that can protect you from all these types of UV rays. Different formulas cater to different applications. If your skin leans more on the drier side, for example, sunscreens in cream forms are your best bet, especially if you’ll be applying it on your face. If you’ll be applying on hairy areas, choose a sunscreen in gel form. For protecting larger areas, such as your legs, lotions make a great option. For kids, spray sunscreens can be a convenient choice. However, since it can be a bit tricky to gauge how much product you’ve applied, make sure to use a generous amount and apply a thick coating. Sunscreens are important, no matter what your skin type is. They aren’t only essential in making sure you don’t experience premature skin aging, but they can protect you against skin cancer, too. You can use sunscreens even though you have sensitive skin. The trick is in finding the right type of sunscreen, ingredients as well as protection. You also have to pay attention to how you’re using the product. Wear sunscreens even if it’s a cloudy day or if you’re just spending a short amount of time outdoors. Make sure to reapply as often as necessary, especially if you’ll be swimming or you sweat a lot. Do it even if you are using a water resistant sunscreen. Also, don’t rely on it for complete protection. 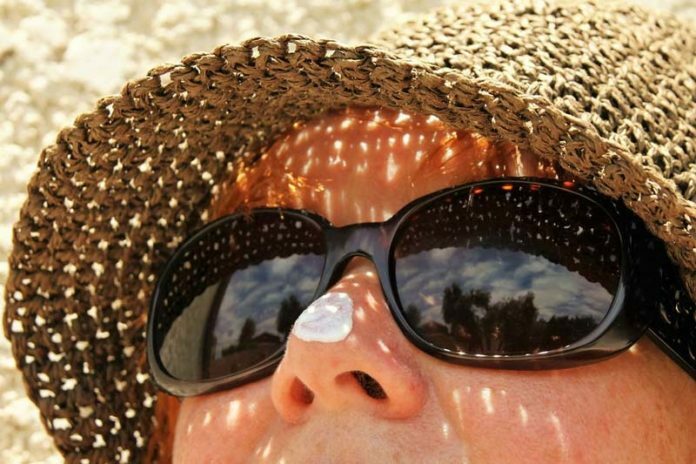 Although sunscreens can protect you against the sun’s harmful rays, you should still wear protective gears when going out, like a hat or a pair of sunglasses. what is the best sunscreen product?